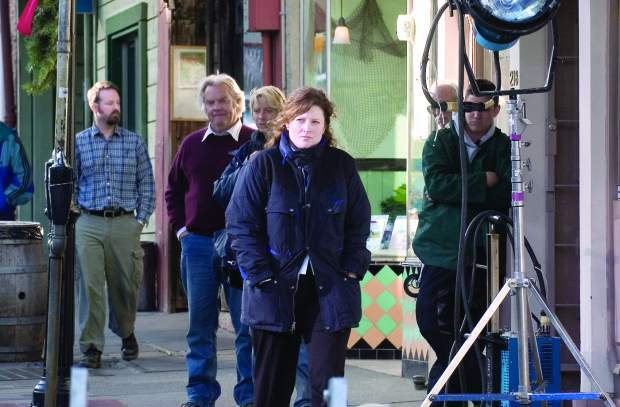 A day of filming at the corner of Commercial and Coyote streets in Nevada City nears its end as crews work on the set of "The Christmas Card" in 2005. 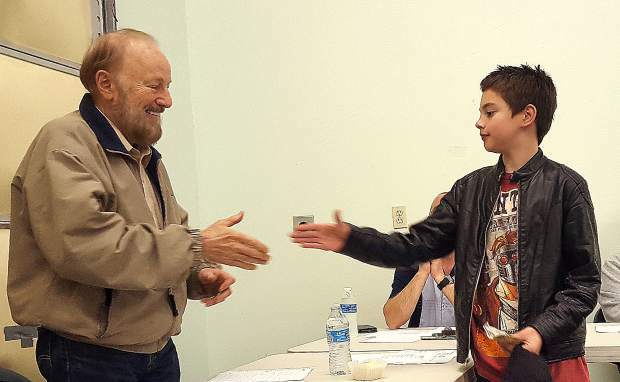 The film has become an annual draw for Nevada City. 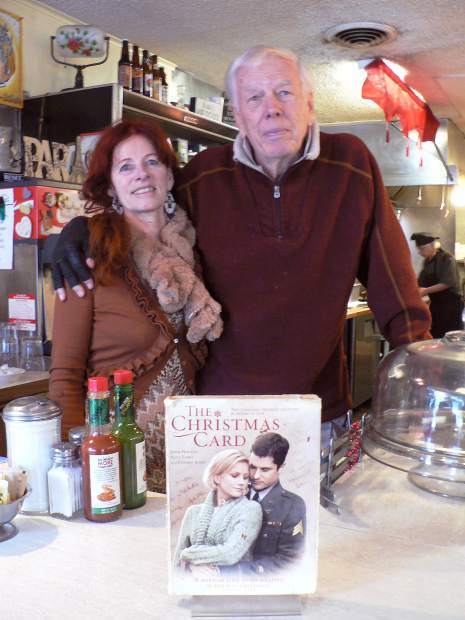 Genevieve Crouzet and Kirk Valentine, owners of the Nevada City Classic Café, say there’s no question the movie “The Christmas Card” has helped the restaurant’s bottom line. 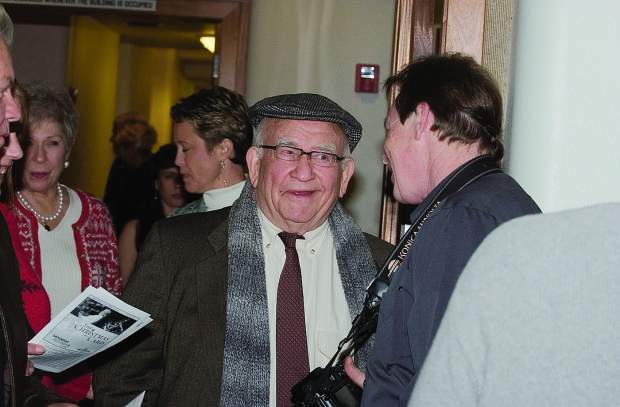 Former Nevada City council member David McKay, right, greets actor Ed Asner as he walks into the council chambers in City Hall in December 2006. 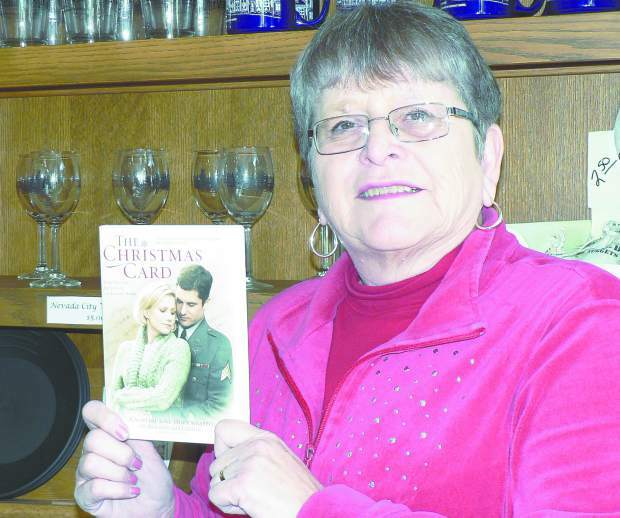 The Nevada City United Methodist Church is visited by scores fans of the movie “The Christmas Card” and sells copies of the DVD. 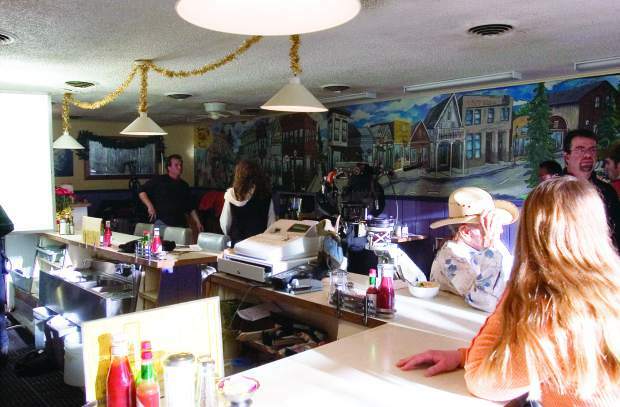 The Hallmark Channel movie "A Christmas Card" was filmed inside the Nevada City Classic Cafe in 2005, with local extra Mellissa Litchfield Parrett in the scene walking outside the cafe. 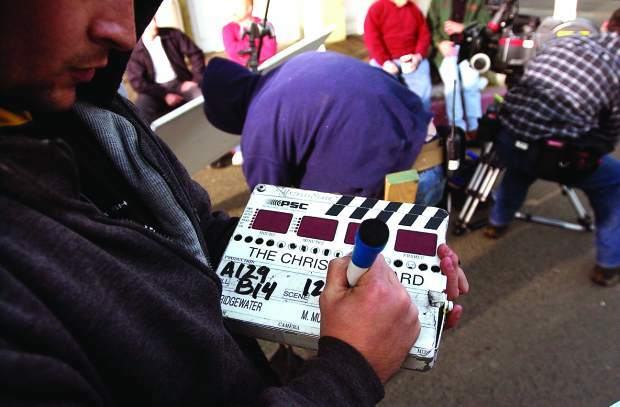 A day of filming at the corner of Commerical and Coyote Streets in Nevada CIty nears its end as crews work on the set of The Christmas Card in 2005. 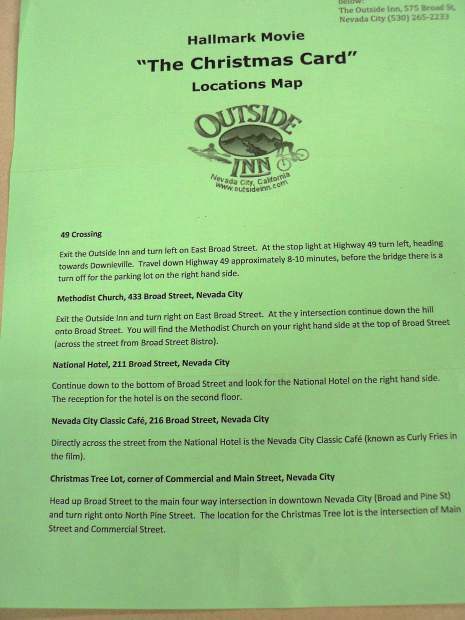 Fans of the Hallmark holiday movie set in Nevada City flock to the Outside Inn and request copies of its “Christmas Card” venue walking tour map. 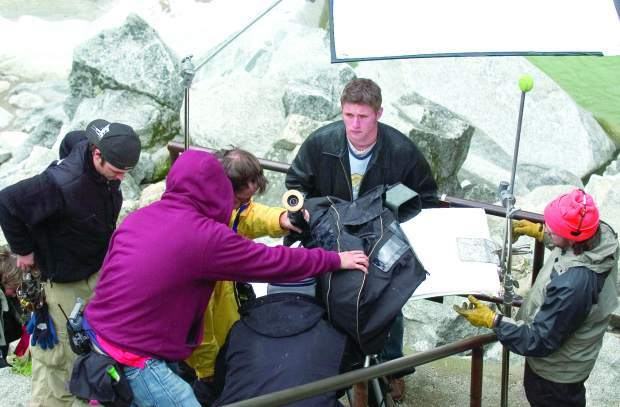 Rob Kreiter of Nevada City served as a stand-in for actor John Newton for the movie "The Christmas Card" at the South Yuba Bridge on Highway 49 during the filming. Local extras sit at the counter inside the Nevada City Classic Cafe, which was a location filmed for the Hallmark Channel movie "The Christmas Card." 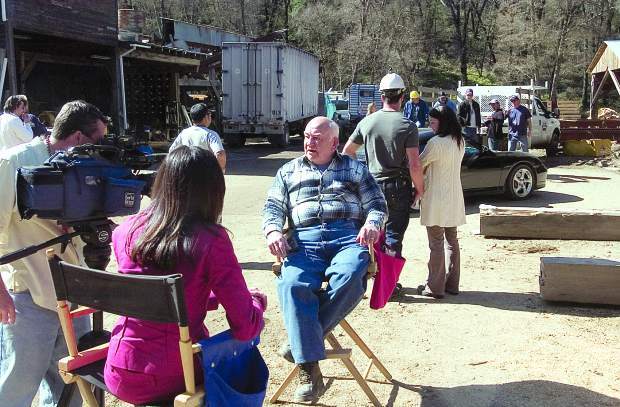 During a break of filming "The Christmas Card" at the Kubich Mill on Mountaineer Trail, off Rough & Ready Highway, actor Ed Asner talks with a Sacramento TV crew. The Union photo/John Hart Nevada City council member David McKay greets actor Ed Asner as he walks into the council chambers in the city hall, Saturday night, December 2, 2006, Nevada City Chamber of Commerce's sneak preview & premiere party of the Hallmark Channel production "The Christmas Card" that was filmed in Nevada City, and western Nevada County. WHEN: 5-9 p.m. Wednesdays, Dec. 13 & 20. 1:30-6 p.m. Sunday, Dec. 17. That’s how Nevada City Chamber of Commerce Executive Director Cathy Whittlesey describes “The Christmas Card,” the 2006 Hallmark Channel holiday movie filmed in Nevada City and featuring Victorian Christmas. But that prediction by “The Christmas Card” producer Lincoln Lageson has been proven true many times over. 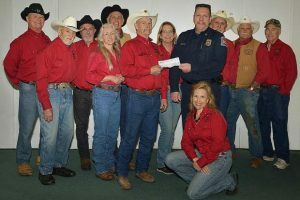 The chamber has a prominent section of its website devoted to the film and its storyline: Cody Cullen, a soldier serving in Afghanistan, receives an anonymous holiday card that touches him deeply. 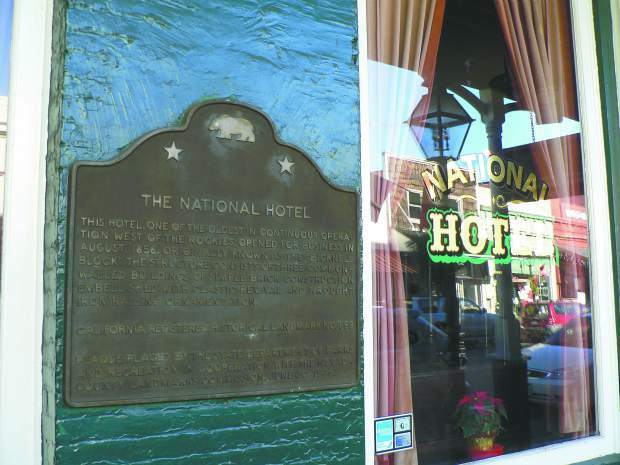 While on leave back home, he travels to Nevada City, the picturesque town from which the card was sent. There, Cody meets and falls in love with Faith Spelman, who sent the card, and quickly becomes a cherished member of the Spelman family. The chamber sells DVD copies of the movie. 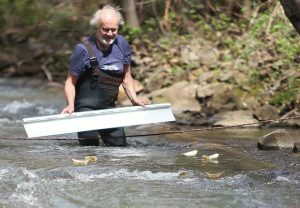 The office had 25 on hand in August and they were all sold before the Christmas season got underway. Another venue selling the $8 DVDs is the Nevada City United Methodist Church, which is the setting for several scenes in the movie. The church sells at least 25 DVD copies per year. Sachen had a particularly poignant encounter with a wounded war veteran who visited the church last Christmas. Nevada City Classic Café owner Kirk Valentine said the movie continues to generate business for his restaurant more than a decade after its release. The café promotes its connection to “The Christmas Card” on its website, and also features the DVD cover at its entrance. Producer Lageson was familiar with Nevada City because both his parents grew up there. Lageson contacted Whittlesey at the chamber and asked her to send him picture postcards of Nevada City and Victorian Christmas. 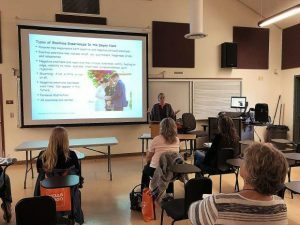 “I walked into the offices at Hallmark, laid down those postcards in front of everyone, and it was a unanimous ‘yes’ that we’d go to Nevada City,” recalled Lageson. 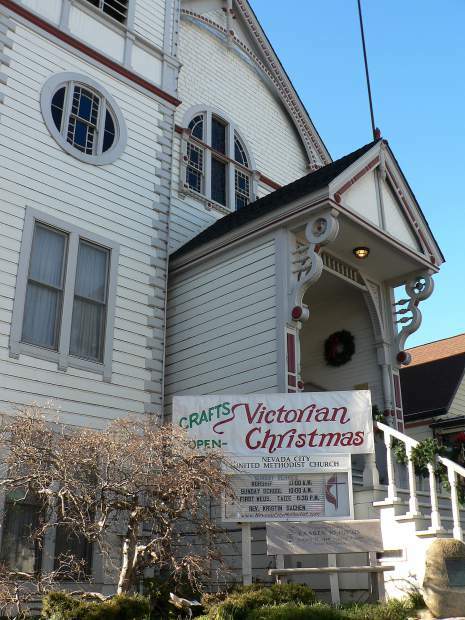 Producers and others working on the movie were in town for eight weeks and actual filming took 24 days in February 2005 — with Victorian Christmas scenes staged for the film. When the movie was released, a special screening was held in Nevada City. Just as the movie has helped put Nevada City “on the map,” one local business has literally put the movie on a map. 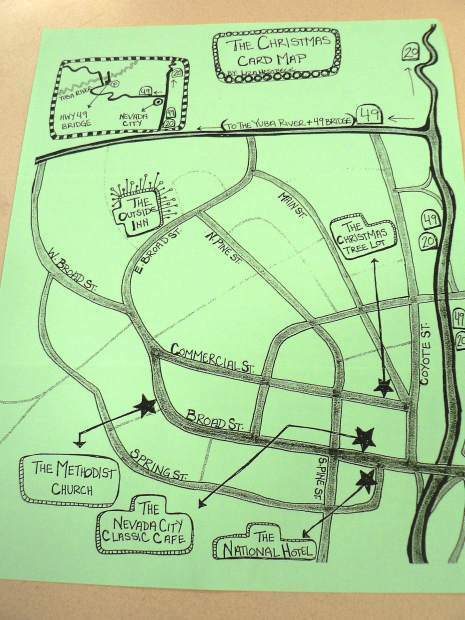 Erin Thiem, owner of the Outside Inn in Nevada City, combined her extensive photography skills with a hand-drawn map of Nevada City to create a “Christmas Card” venue walking tour. Lageson said even he is surprised at the long-term impact the movie has had.